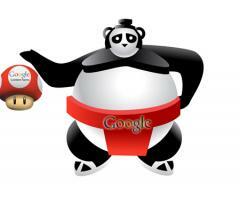 Google Update Name Problem: "Panda" or "Farmer"
Home > Google News > Google SEO > What's Your Name? Farmer Or Panda? All this time we have been calling this past Google update the Farmer Update and I have been using this Mario Mushroom character but now I need to stop using it and start using a Panda! Wired published an interview with Google revealing the internal name Google used for this update, the name is Panda. Google named this update, at least internally, the Panda update. Why? Amit Singhal from Google said, "Well, we named it internally after an engineer, and his name is Panda. So internally we called a big Panda. He was one of the key guys. He basically came up with the breakthrough a few months back that made it possible." We assume it is Navneet Panda, a Google software engineer. Anyway, personally, I like the name Danny Sullivan came up with when the update was announced - the Farmer Update. The big question now is what will this update be known as in the future? Seeing how people are referring to it today, I suspect the Farmer update will stick, but people will know that Panda refers to the Farmer update. I certainly hope Farmer sticks - look at all my Mario mushrooms out there. Forum discussion at WebmasterWorld, Cre8asite Forums and HighRankings Forum.